France is getting the Kindle! No, seriously, until now the land of baguettes and Nicolas Sarkozy has had to make do without the world's most popular ebook reader. Starting today though, our French friends can pre-order a Kindle (no touch and no keyboard) for €99 and have access to over 825,000 titles from the newly launched Kindle store. The first French-language readers from Amazon will start shipping out on October 14th and, if you need some more details, you'll find the full PR after the break. 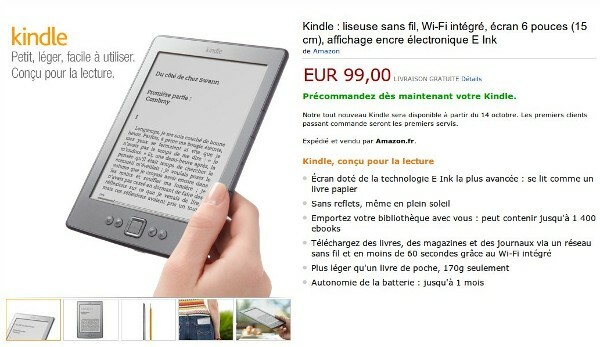 Amazon brings Kindle and associated ebook shop to France originally appeared on Engadget on Fri, 07 Oct 2011 14:28:00 EDT. Please see our terms for use of feeds.